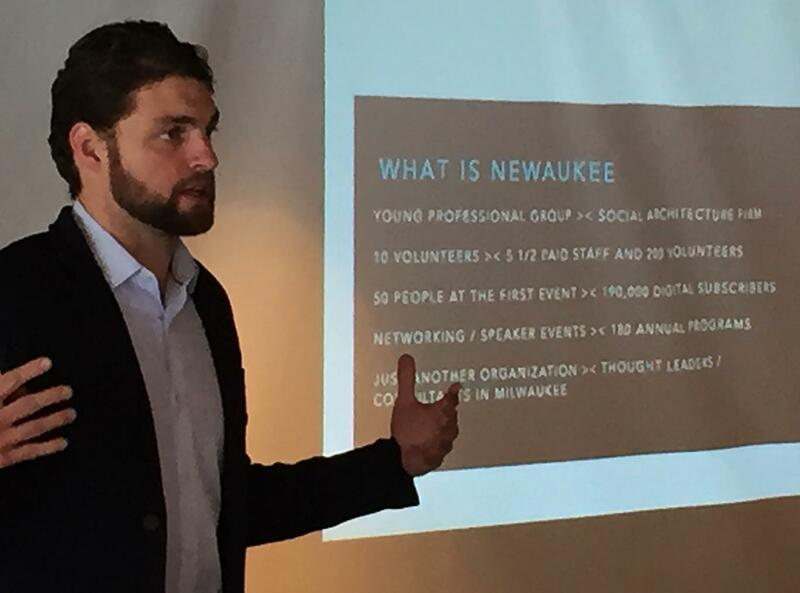 Our speaker this morning was Ian Abston who is Executive Director of NEWaukee. Formed 6 years ago as an organization of young Milwaukee professionals with a mission to promote the “Brand” of Milwaukee, it has grown from 5 volunteers to over 200 volunteers and 5 paid staff. The goal is to make our city competitive with other vibrant growing areas of the country – such as Austin, Seattle or Minneapolis. NEWaukee works closely with the area business community to attract and retain top young talent to the area by – Accentuating the Positive and Eliminating the Negative about our home town. Creating and hosting exciting free social activities, with a total over 180 last year including the “Night Market” and Lake Shore Park and Bradford Beach Festival, NEWaukee highlights our town as a great place for young professionals to live, work, and raise a family. Those of us who've either grew up in the Milwaukee area, or have been here awhile, have always known it, and now we want everyone else to know it too. Next week, Karen Treadwell from the Waukesha Food Pantry which is one of our Rotary supported organizations, will be our guest speaker.